Make the spicy dip first, place all the ingredients for the dip in a blender and blend by adding just enough water to make a smooth paste. Pour into a serving bowl and set aside. In big bowl mix together the flour, paprika, chaat masala, salt and pepper. Add the sliced aubergine and toss well. 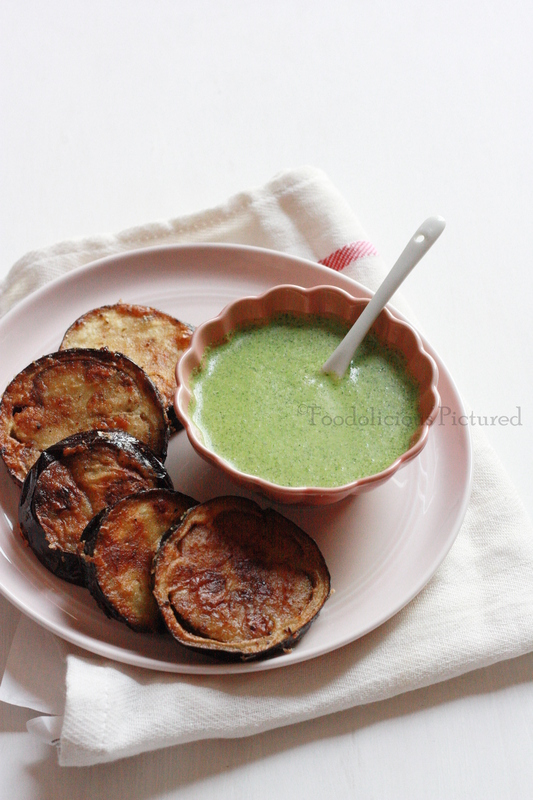 Deep fry the aubergine; Fill a wok or deep frying pan with enough oil. 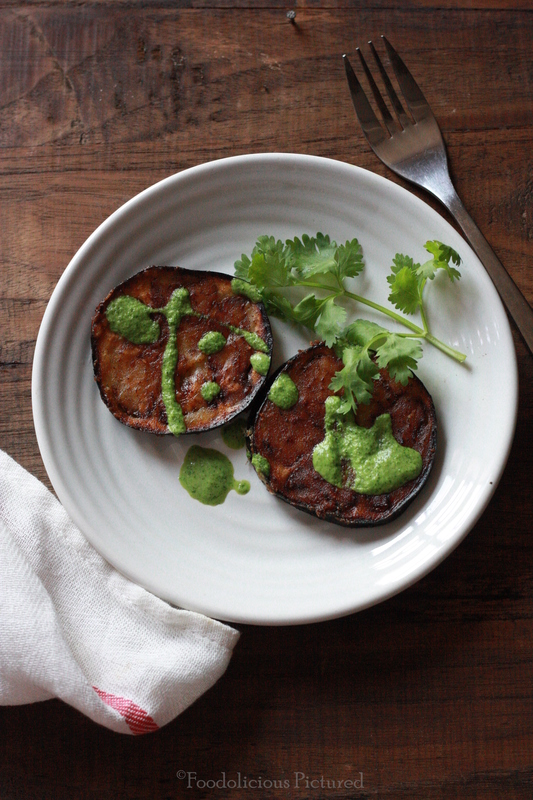 Once the oil is heated to 350 F deep fry the sliced aubergines is batches until crisp and golden. Remove and drain on paper towel. 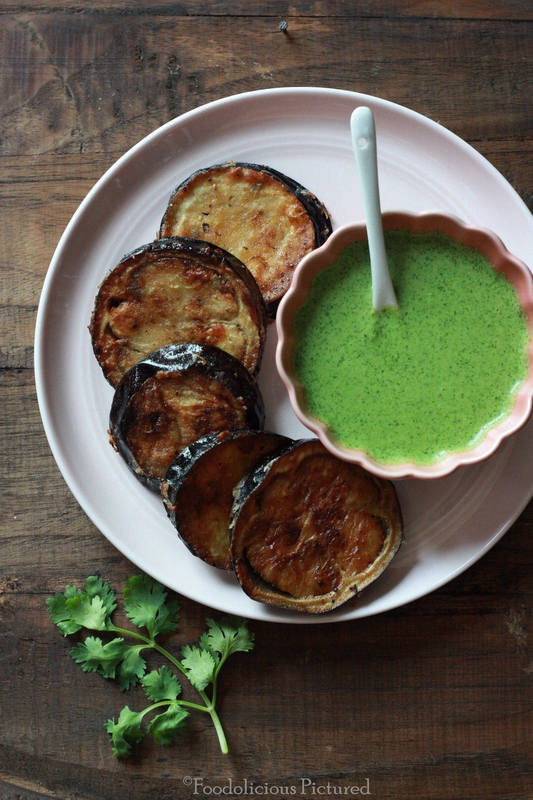 Transfer the fried aubergines into a serving plate and serve immediately along with the dip. Such an appetizing n yummy looking dish! These look so good Rekha! Love the combination!